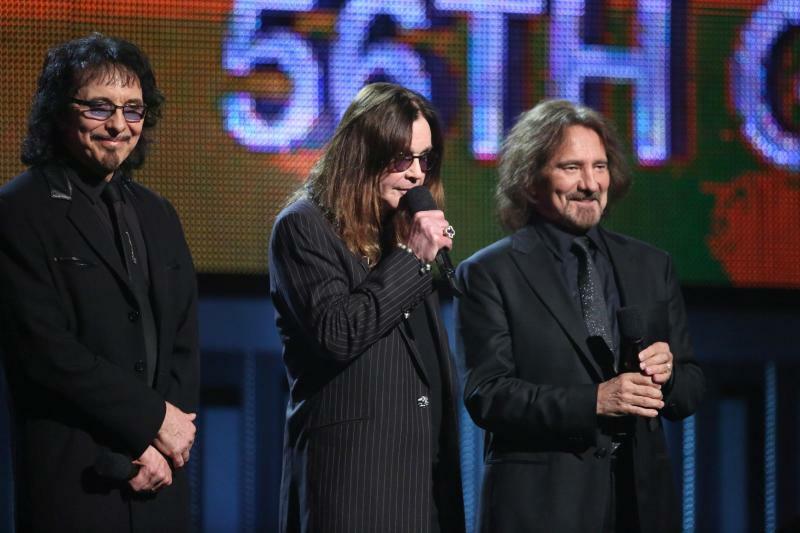 Ozzy Osbourne had a very simple explanation for his flub on stage, when he appeared to lose his place while reading the teleprompter introducing Ringo Starr. The incident caused Osbourne's Black Sabbath bandmates Geezer Butler and Tony Iommi to crack up. "I completely (expletive) it up," he told reporters backstage as the group talked about their best metal performance win for "God is Dead?" EDITOR'S NOTE — Show Bits brings you the 56th annual Grammy Awards in Los Angeles through the eyes of Associated Press journalists. Follow them on Twitter where available with the handles listed after each item.